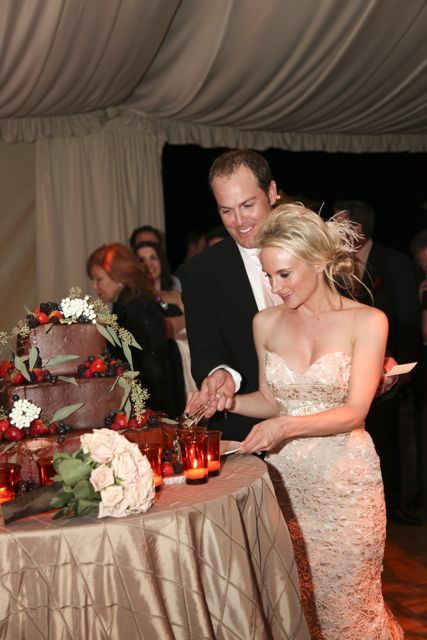 In addition to the cake, couples also like to have a dessert bar presentation. This could be anywhere ranging from a selection of cupcakes (a hot trend), mini desserts, cookies, candy, candy apples, donuts, etc. 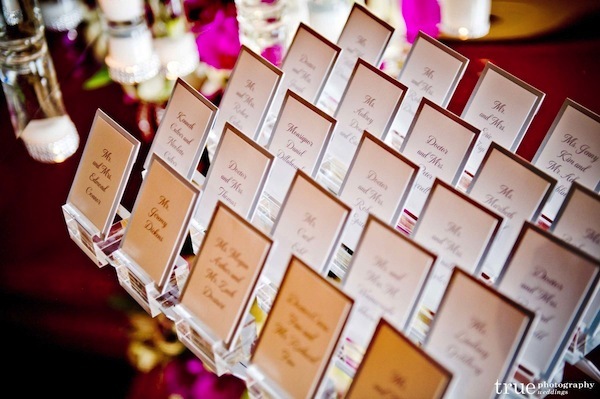 While many guests will indulge in desserts at the reception, this can also serve as the take home favor if you provide glassine bags or cake boxes. 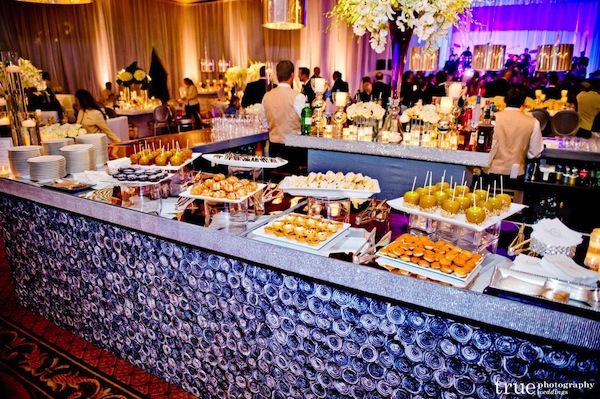 A coffee/cappuccino bar is also a great addition to go along with the sweets. 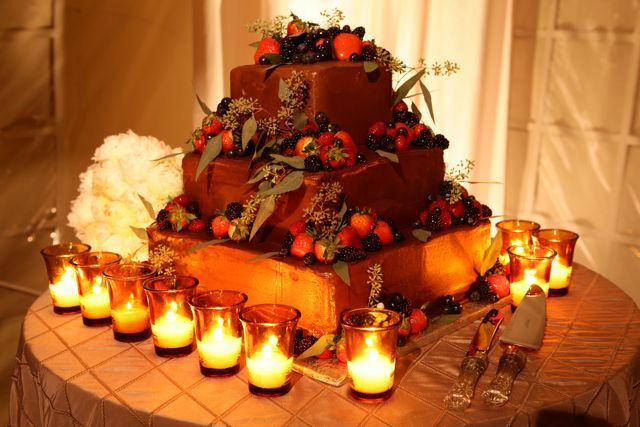 Another option would be to replace the wedding cake with multiple mini cakes for each guest. 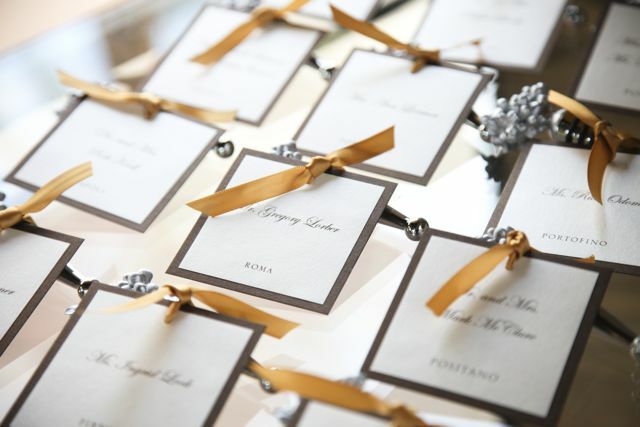 These can either be used as a centerpiece or individually packaged as a take home. But keep in mind that the cost might add up since each one needs to be decorated. One of our favorite alternatives to the candy bar are Porch Pies. 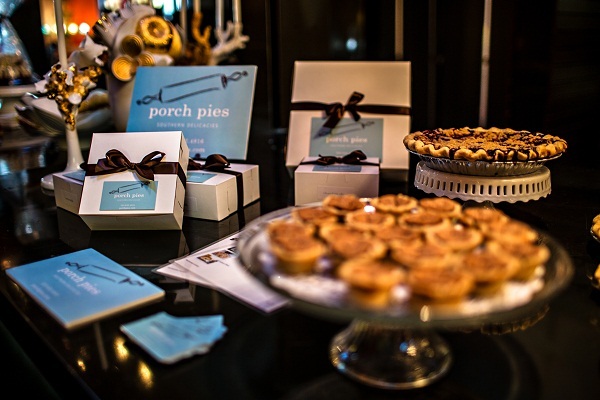 Porch Pies’ are Southern Delicacies. Baked fresh and hand delivered to your event – each pie is a taste of the deep south and is made from our family’s heirloom recipes passed down from generations of grandmothers and great aunts. 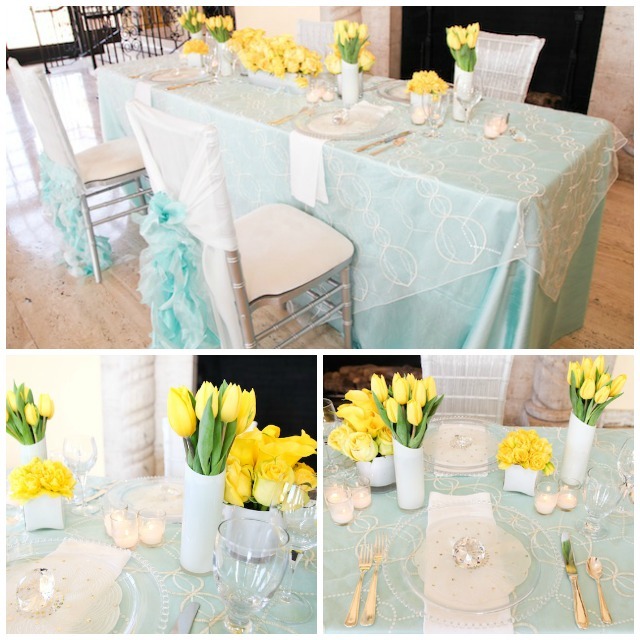 Once you have your theme decided upon, it is a good idea to decide on a color scheme that you will be working with. 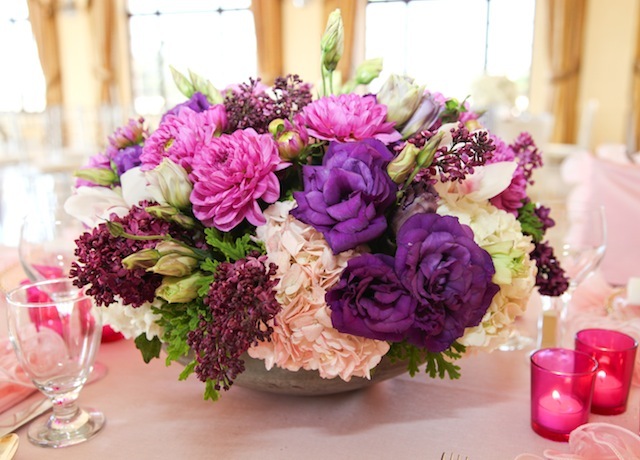 What are your favorite colors that you envision at your wedding? 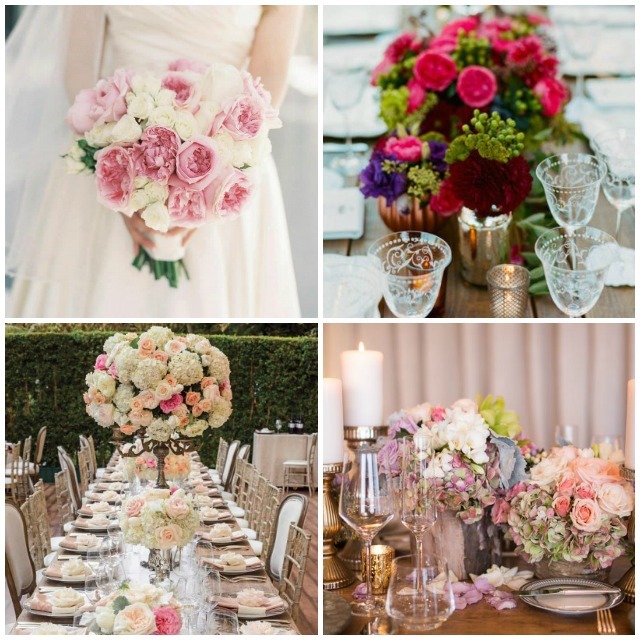 Using color swatches can help you come up with different wedding color scheme combinations. Two shades on the same paint swatch will work nicely. 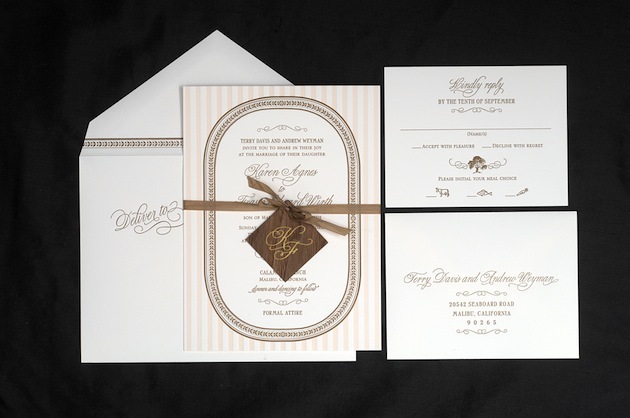 A rich chocolate brown and ivory work beautifully together. A dark royal blue and a nice periwinkle are lovely compliments. 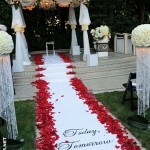 You will want to remember to choose colors that go with the season for which your wedding is planned. 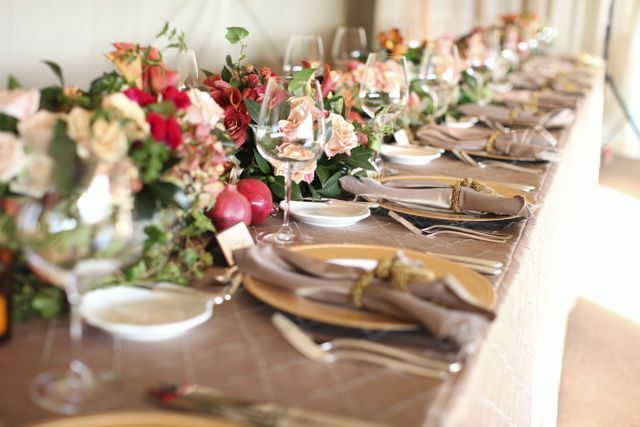 For instance dark colors like wine and emerald green are nice for autumn. 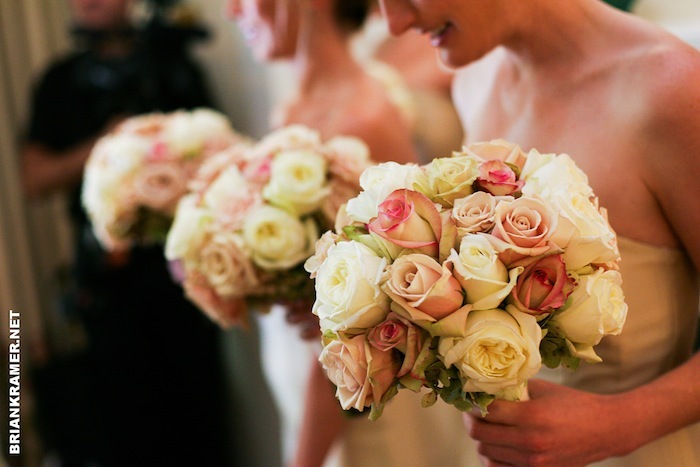 Pastels and light colors like the bouquets featured above are great for the spring. 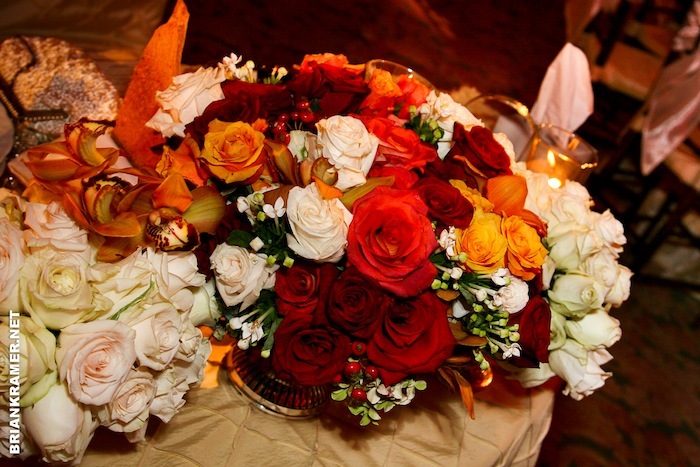 Darker colors are perfect for Autumn weddings like the bouquets below. Is it time for him to “pop the question”? Have you both gone “fantasy shopping” for the perfect ring? 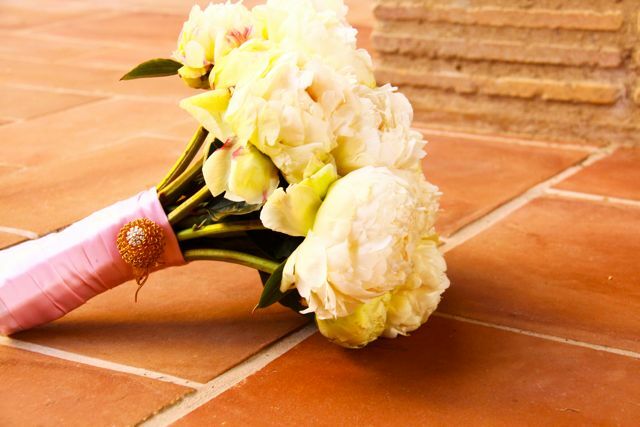 Is your “soon-to-be- fiancee” planning to surprise you?? Shopping for rings is a HUGE step!! 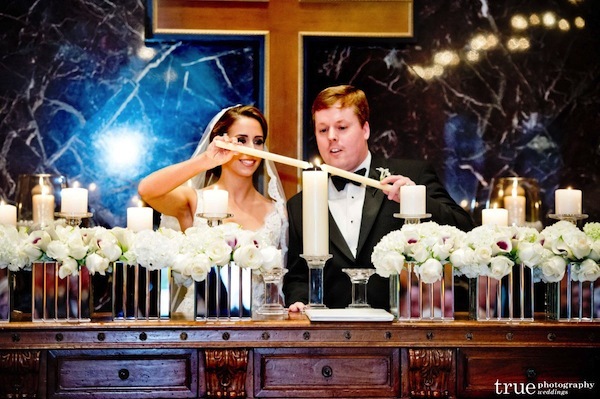 You will be wearing his sign of love and commitment for a lifetime and this is an investment that you will both want to be happy and proud about. Take the time to look at photos together… discuss the shape you most love. Do some “window shopping” together. 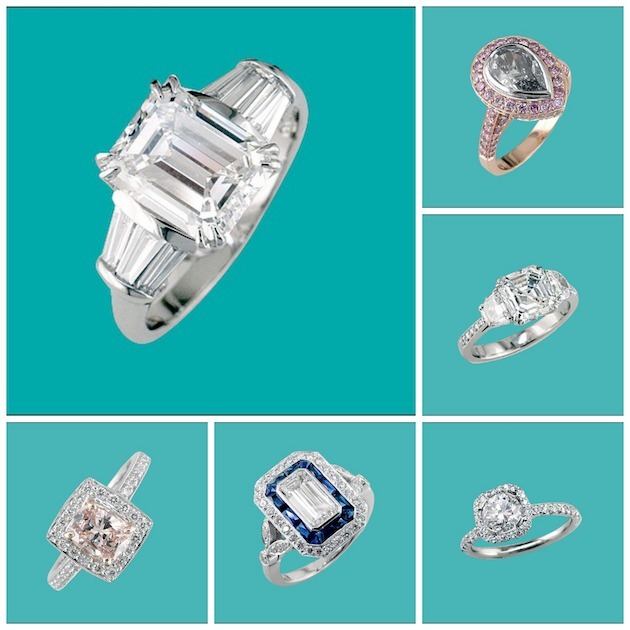 Engagement rings come in all shapes and sizes and it is important to take your time in making this decision of what reflects you and your personality…. as well as budget. One of my favorite jewelers in the Westside is Peter Norman Jewelers. 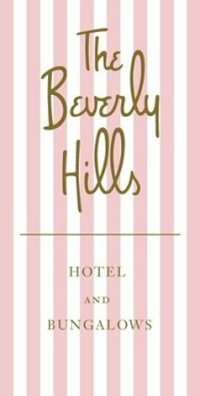 His Brentwood shop is located on San Vicente Blvd. 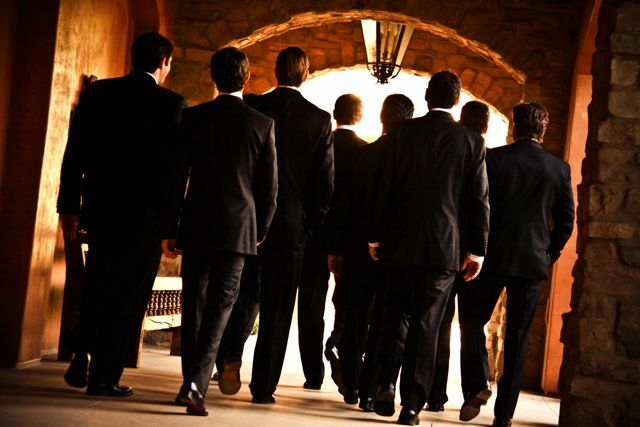 Peter prides himself in personal attention to what Bride and Grooms are wanting to spend on the ring…. 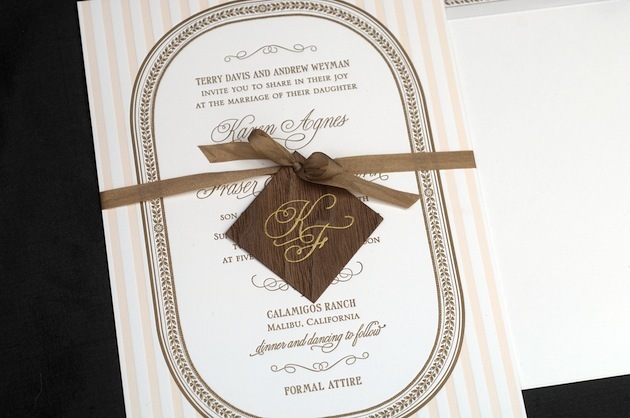 and he will do his very best to offer them wonderful design, as well as very fair pricing. Peter and his staff are very professional and knowledgeable in the world of diamonds and gemology. They are so very willing to assist the customer in a very warm and welcoming manner. 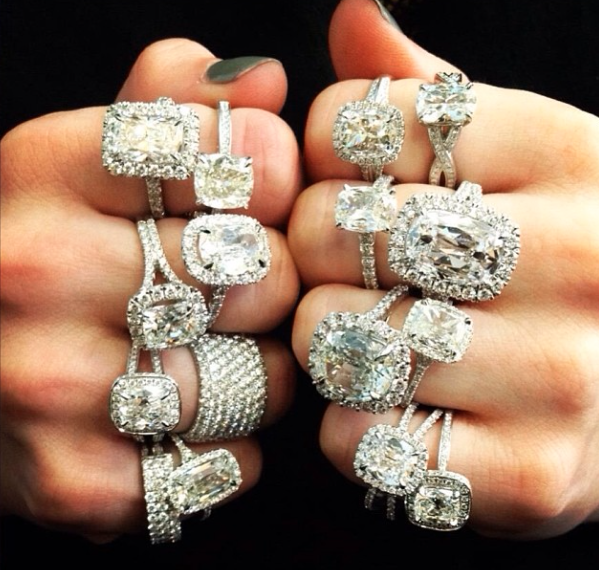 Have fun “dreaming”… and then go shopping to make your wedding ring dream a reality!!! EAST SIX, a boutique design studio with locations in New York City and Los Angeles, was founded in 2005 by childhood best friends Stacey Mui and Marina Marchisi. 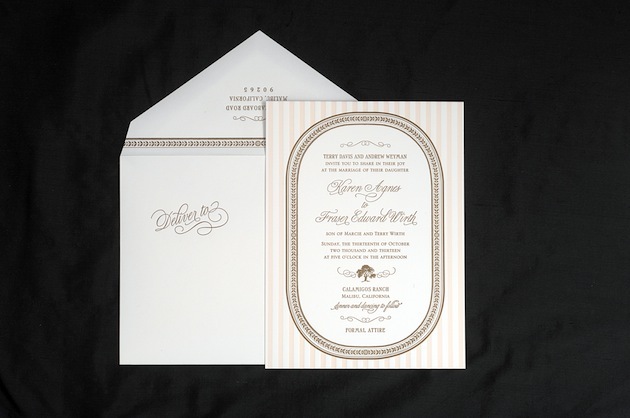 EAST SIX works intimately with every client, to create personalized paper accents for every detail of an occasion, imprinting the story and personality of each couple onto every facet of their wedding invitations and accompanying accessories. 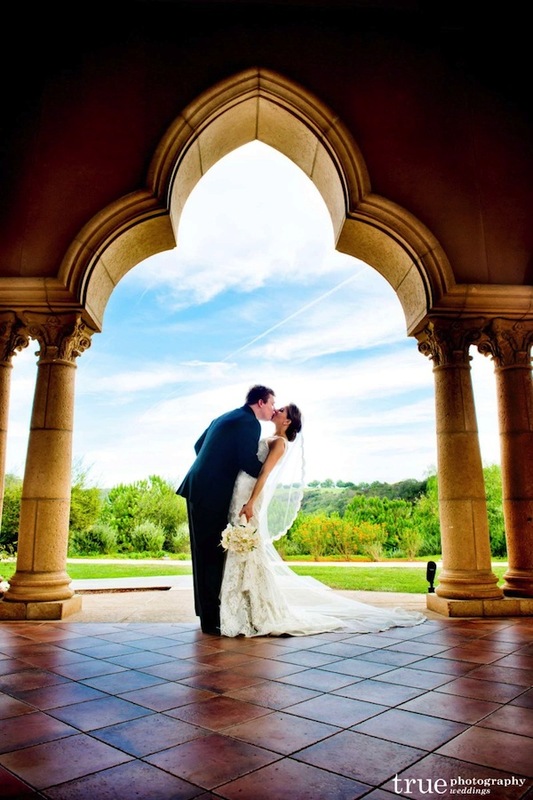 A wonderful day at The Riviera Country Club!! 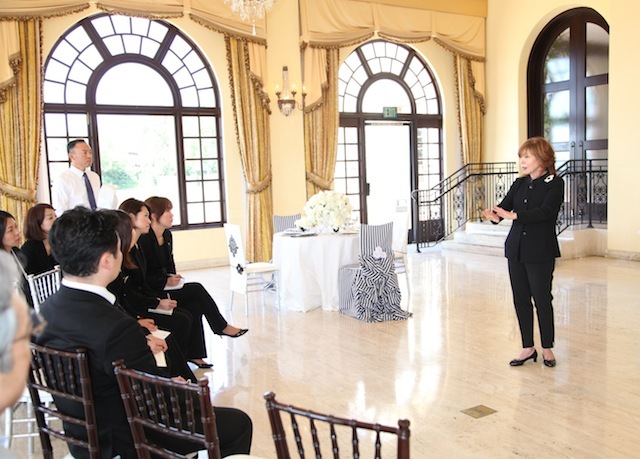 I had the pleasure of speaking to Wedding Planners from Asia that were here to learn about Wedding Trends in America. They were so delightful and excited to see our table designs. 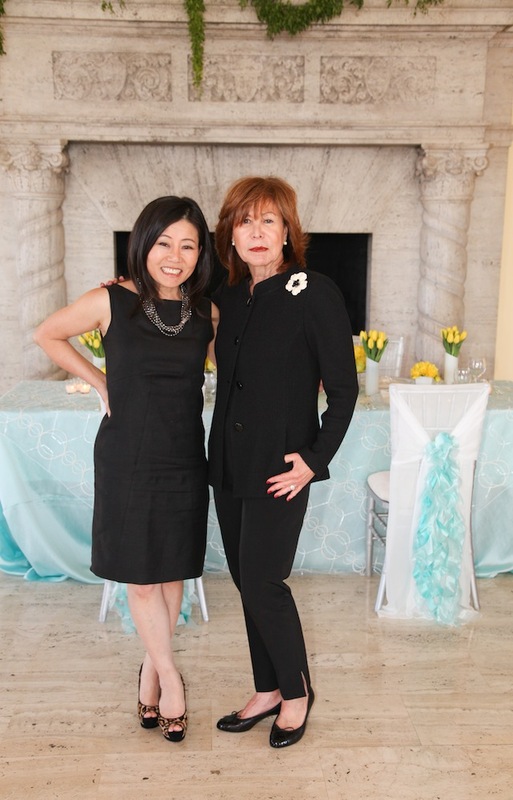 Young Song Martin of Wildflower Linens and Taylor of Hidden Garden joined me in presenting three different table designs. A fun day for all!!! 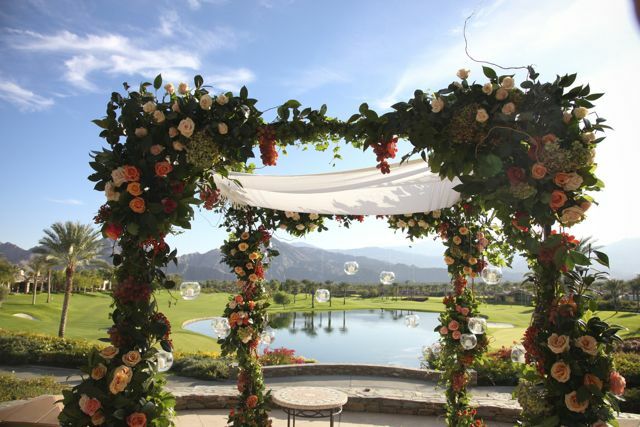 Archive is an event design house and a specialty rental company, founded in San Clemente, California a sunny little village by the sea. 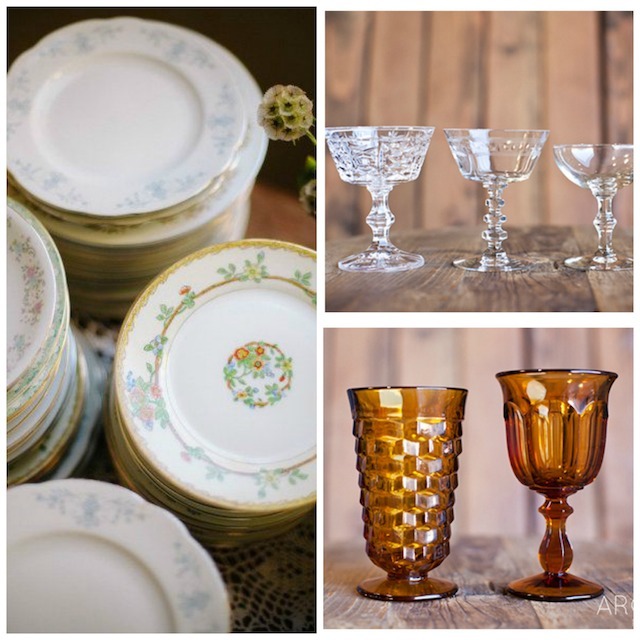 Archive’s rental division offers a fine collection of specialty rentals, including vintage items, handmade furnishings, rare antiques, and one-of-a-kind treasures. 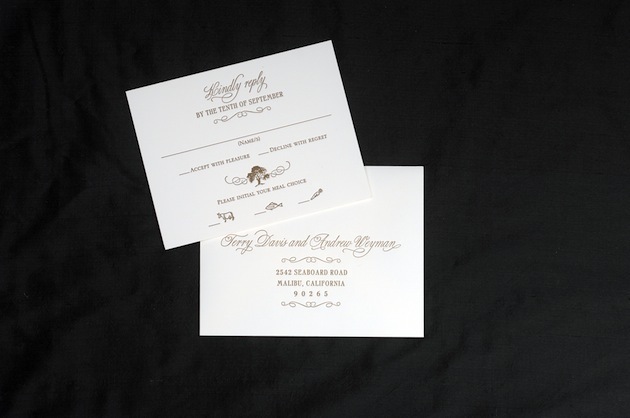 As designers, the Archive team has traveled the country designing hundreds of special events. 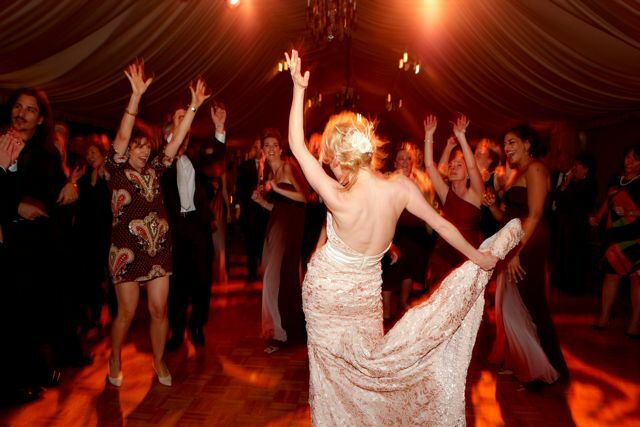 The wedding was full of beauty and grace reflective of the venue. 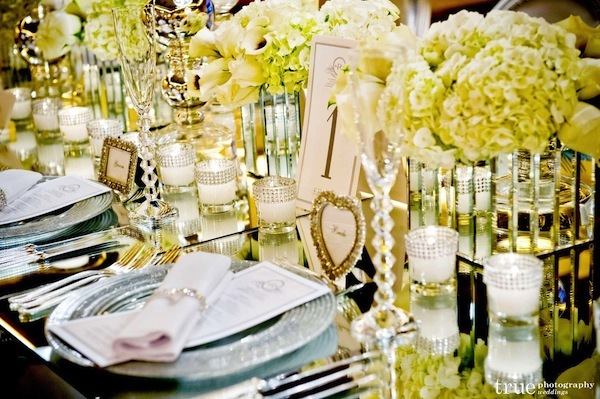 The vibe we were aiming for was New York elegance, a very glamorous city feel. 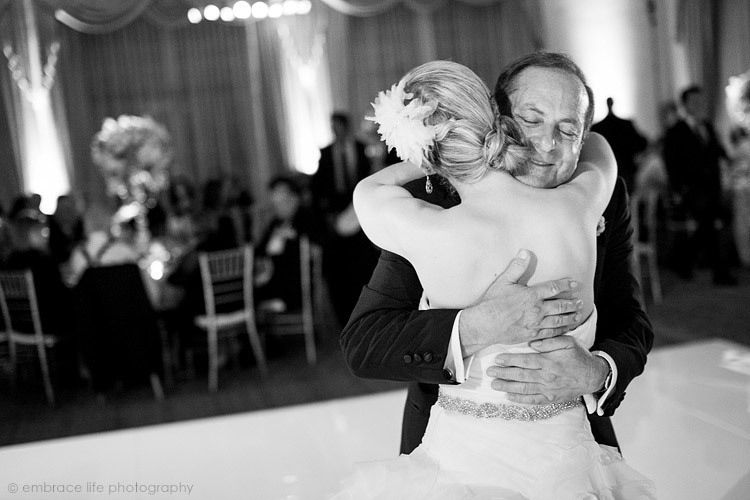 We draped walls of the Grand Del Mar ballroom with a gorgeous organza. 1,000 candles were lit everywhere, or at least appears that way with the way the room sparkled. 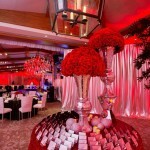 We were able to make the ballroom feel intimate through the use of various table shapes, sizes and materials. 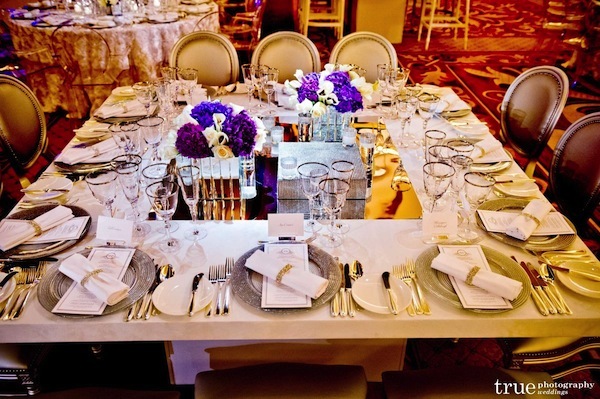 Alternating chairs were also used at each table including Ghost Chairs. 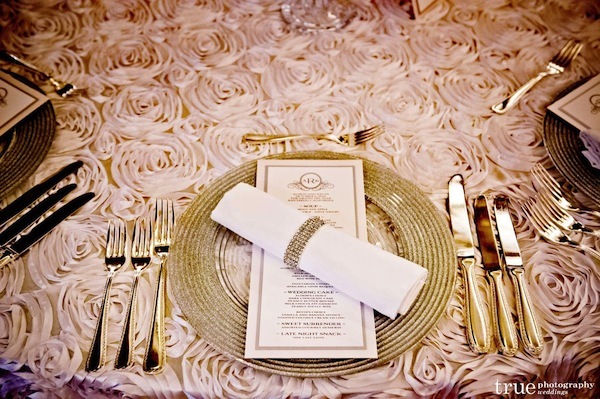 For the head table we decided to do something a little different. We used an elevated table with high back Regency bar stools. 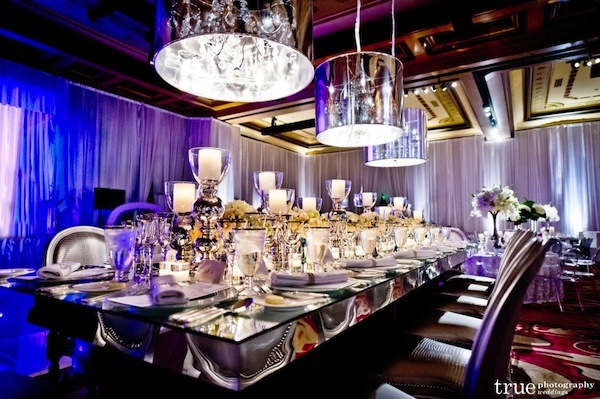 Located next to the dance floor, this elevated table created some extra drama to the design. 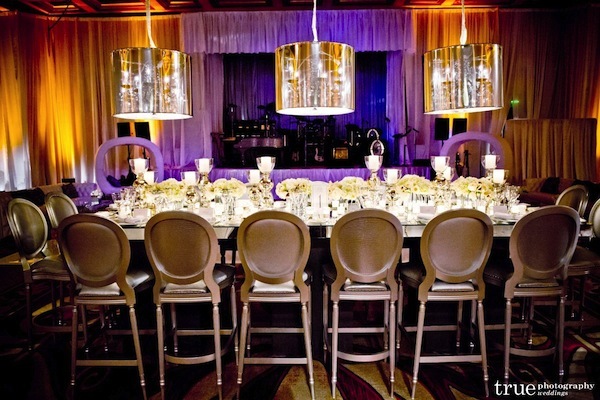 The head table was mirrored while three translucent shades wrapped around chandeliers hung over the guests. 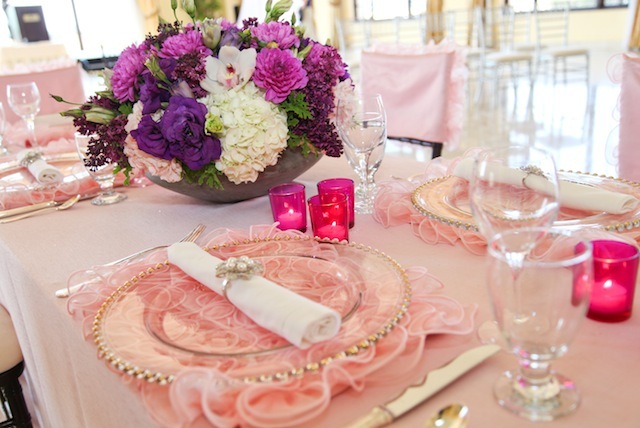 The table was adorned with low floral story created by Kathy Wright. 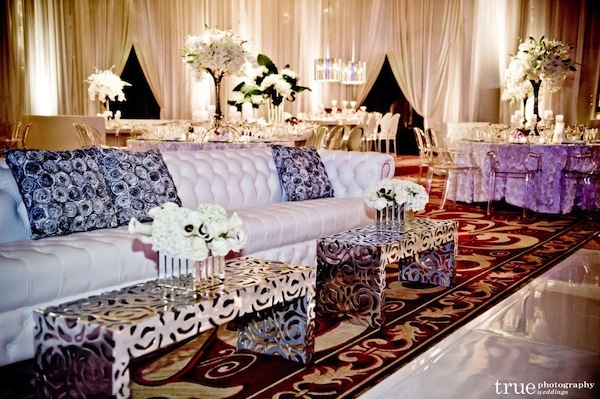 Their Dance floor was high gloss white and black combo that reflected the light of the room beautifully. 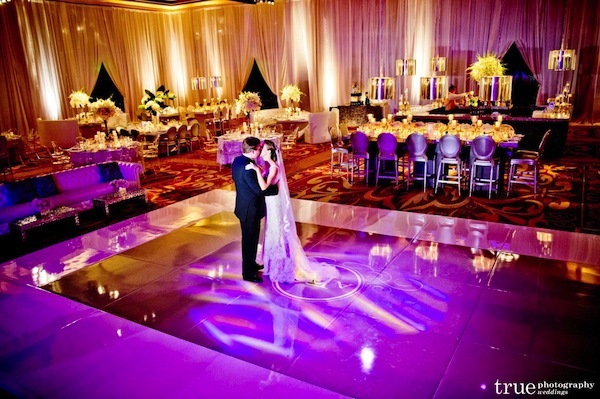 Vignettes surrounded the dance floor so guests could watch the bride and groom’s first dance. 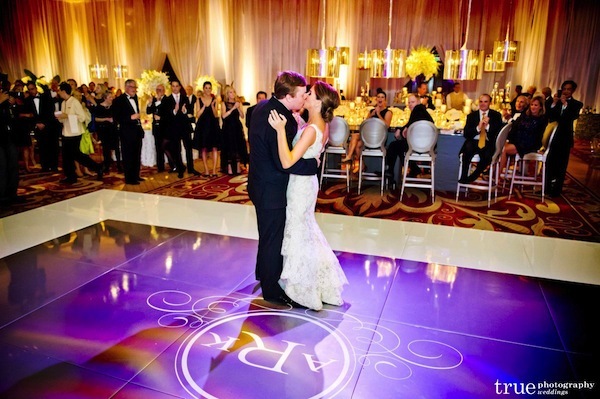 The monogrammed vinyl graphic projected the couple’s initials onto the dance floor. 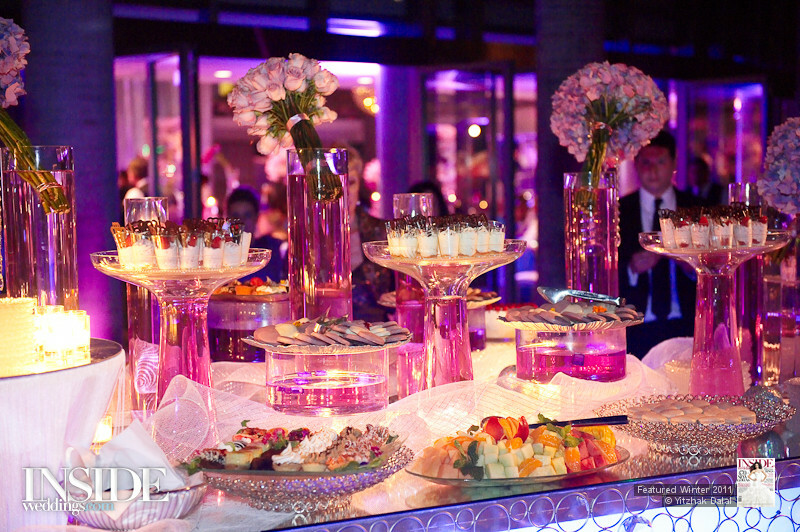 There was a four-sided bar until after dinner, where it converted into a 3 sided dessert bar. 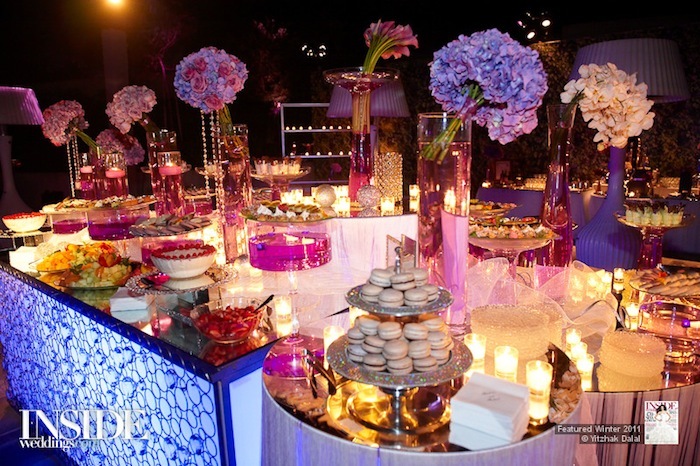 A sweet palette of mini whoopee pies, macaroons, lemon bars, candy apples were served with a coffee station. 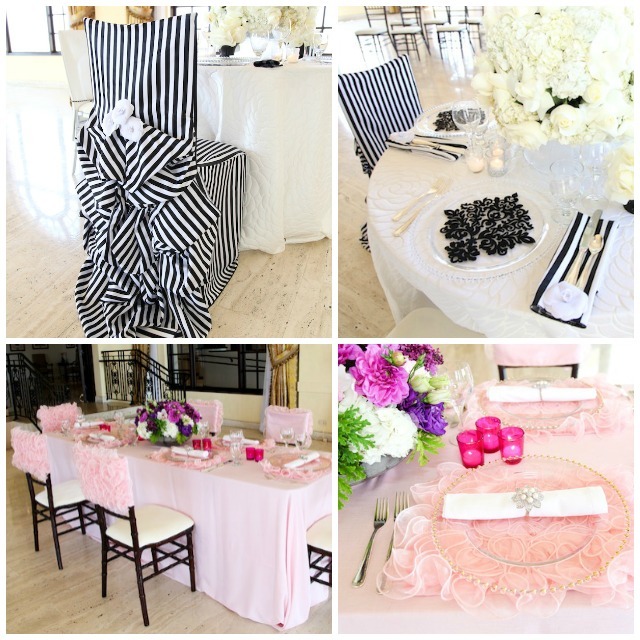 The full four-sided bar was 13×16 draped with a platinum rosette linen. 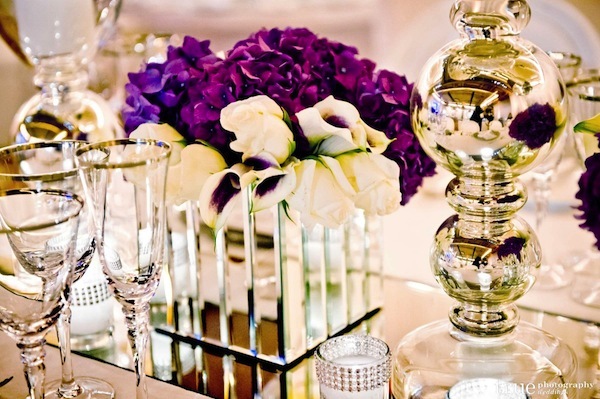 The top of the bar was trimmed with crystal cut metal and topped with a mirror. 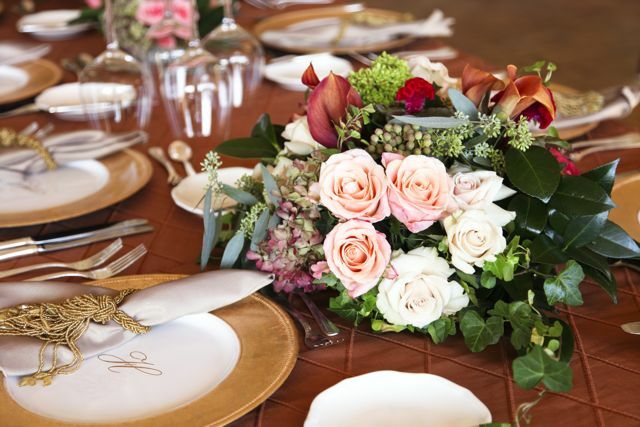 The Hidden Garden Floral Design is made up of a very talented team of artists who consistently impress me with their innovative designs and professionalism. 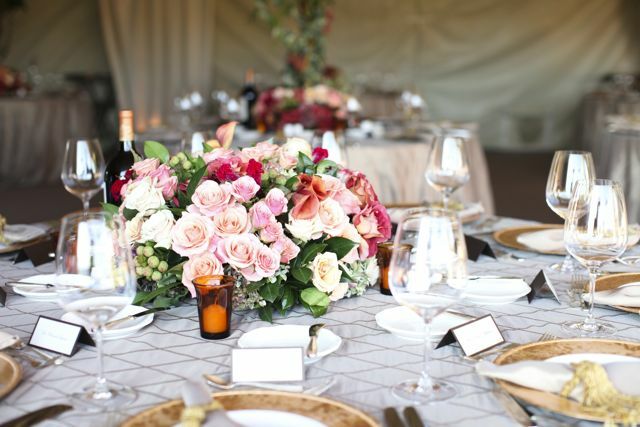 Amy, along with her talented and artistic team, craft incredible floral arrangements for all events including weddings, corporate events and awards ceremonies. 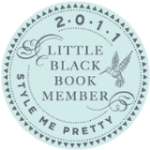 She has perfect taste, lovely style and a warm, embracing personality. 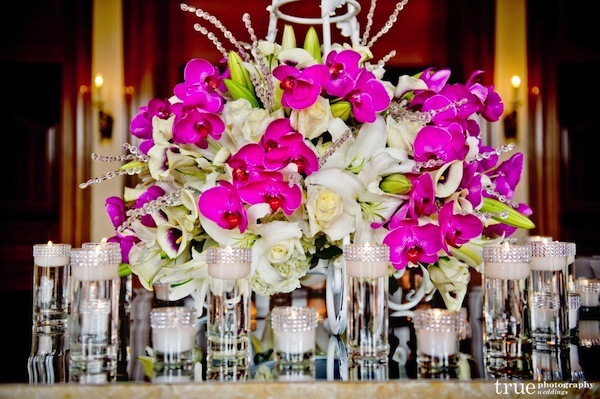 Amy and her team of artists create florals that are elegant, whimsical and innovative. R-Mine Bespoke is the perfect stop for style-savvy brides in search of a timeless gown with just the right bit of edginess. 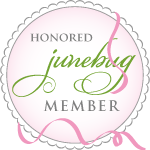 Their collection of unique and elegant gowns is extensive and professionally curated. 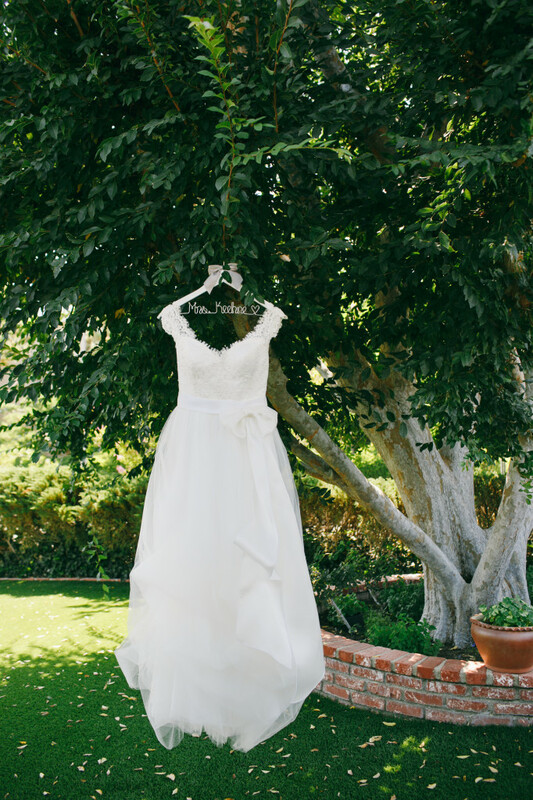 You’re sure to find your perfect dress! 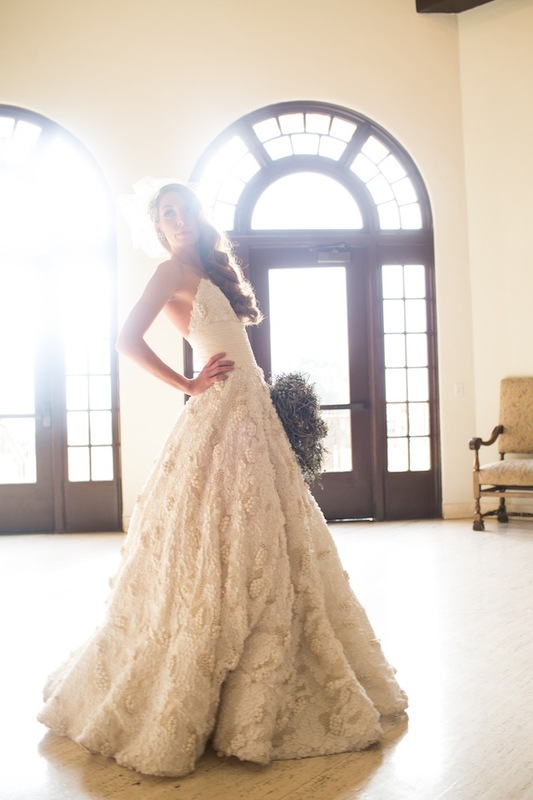 Arminé Sexenian Ohanessian, owner and designer of R-Mine Bespoke, is known for her collection of exquisitely designed wedding and evening gowns. 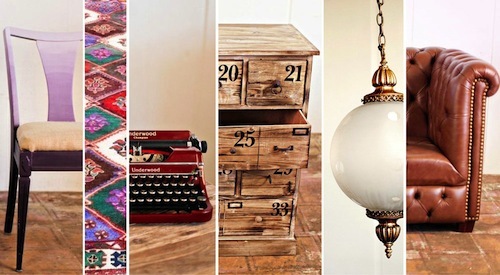 Her incredible eye for color and texture make all of her designs anything but ordinary. The current R-Mine custom collection has an amazing assortment of ball gowns and flirty knee length dresses adorned with feathers, embroidery, and intricate beadwork. 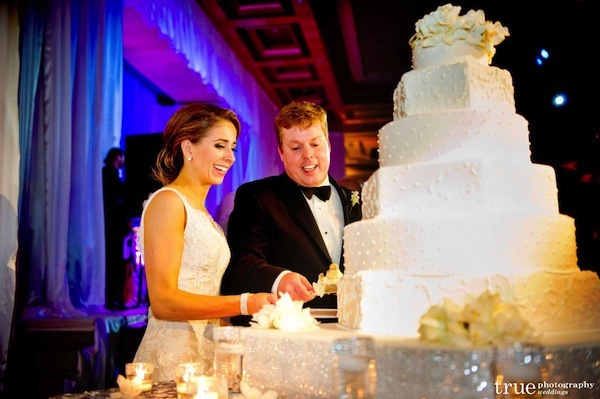 She caters to the taste of each individual client and as much as Arminé follows trends, her success comes from listening to her clients and bringing them one step closer to their fairytale wedding. 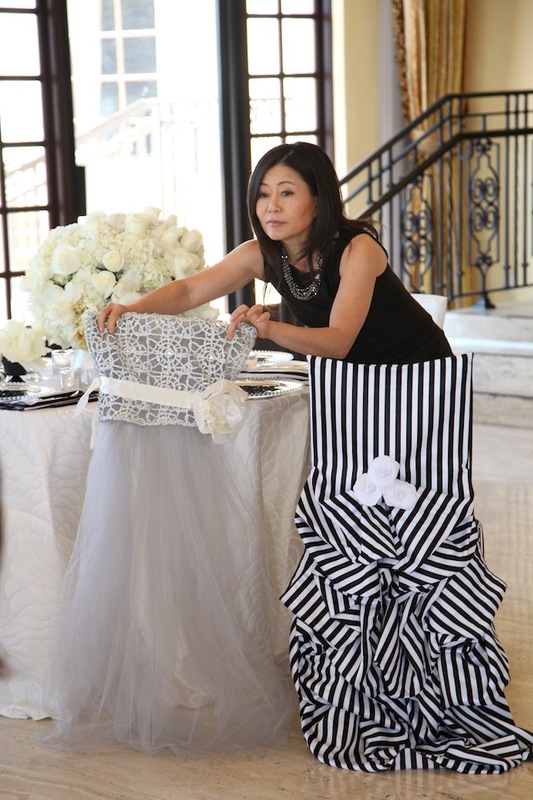 Brides that work with Arminé and her staff experience a completely unconventional take on wedding dress shopping. 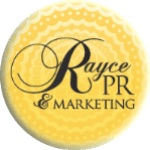 At R-mine, every piece is customized to complement each individual personality and style, making the brides experience intimate and special each time. Light up the Season of Love!